6.7 fl. oz. & 1 fl. oz. 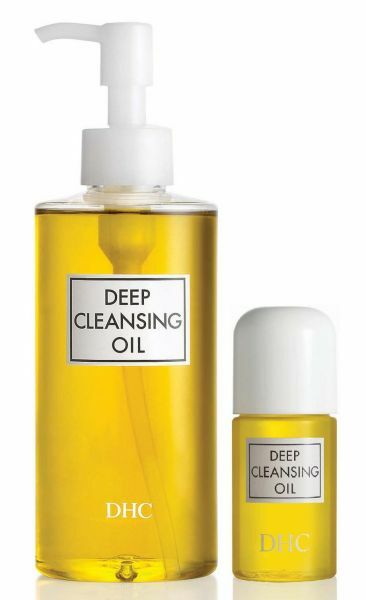 DHC Deep Cleansing Oil makeup remover completely dissolves all traces of dirt and cosmetics even waterproof mascara and eyeliner while nourishing your complexion with antioxidant-rich olive oil. Using dry hands, massage it onto your dry face, and it immediately goes to work. Add water and it transforms to a milky, vitamin-rich emulsion that rinses clean, leaving your skin feeling soft and nurtured; never dry or greasy. One try and you'll understand why it's the ultimate cleanser.